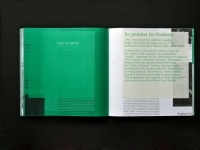 Descriptions of works by Yann Sérandour, design and introductory text by Jérôme Saint-Loubert Bié. 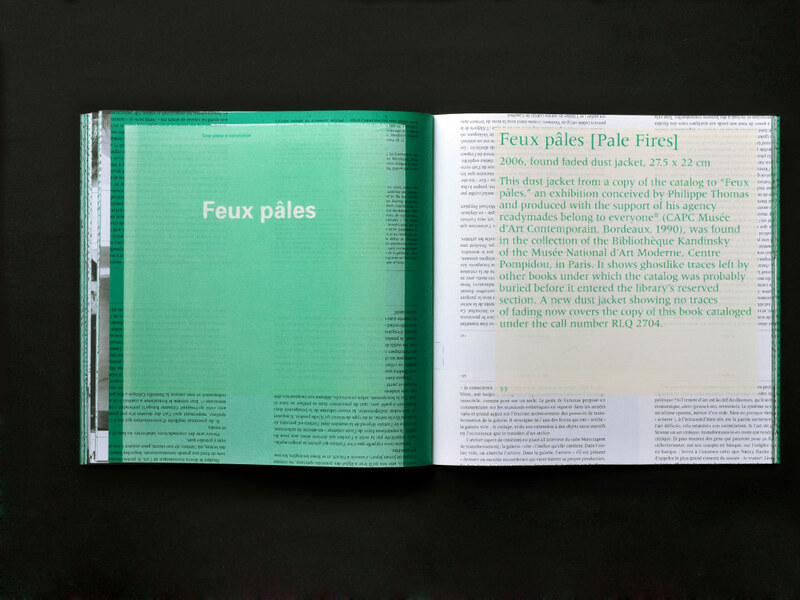 Harnessing strategies of mimicry, infiltration, and parasiticism, the work of Yann Sérandour reactivates and hijacks the substance of historical art works and publications. 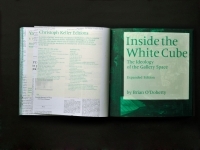 Conceived in collaboration with Jérôme Saint-Loubert Bié on the basis of the same principle, this publication is printed over the French edition of Brian O’Doherty's book Inside the White Cube, recently released by JRP|Ringier and designed by no-do. 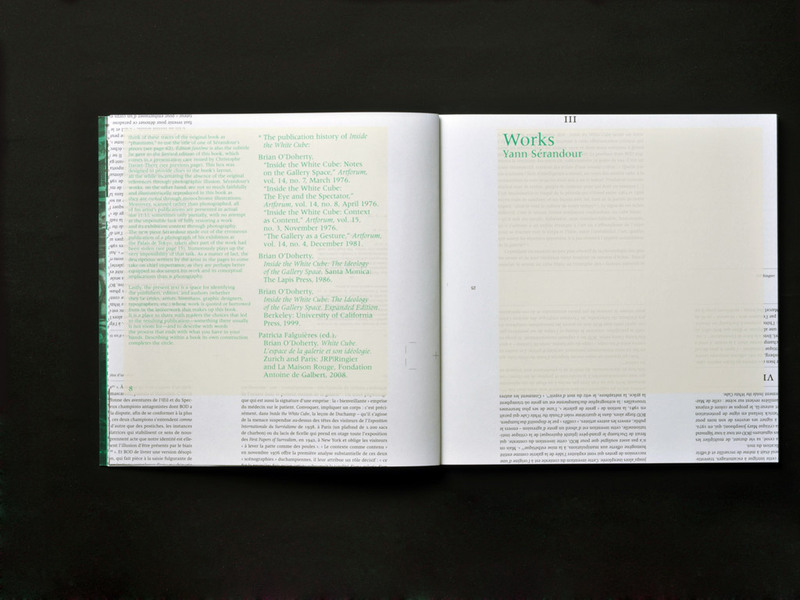 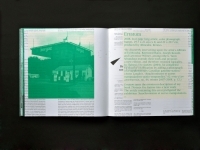 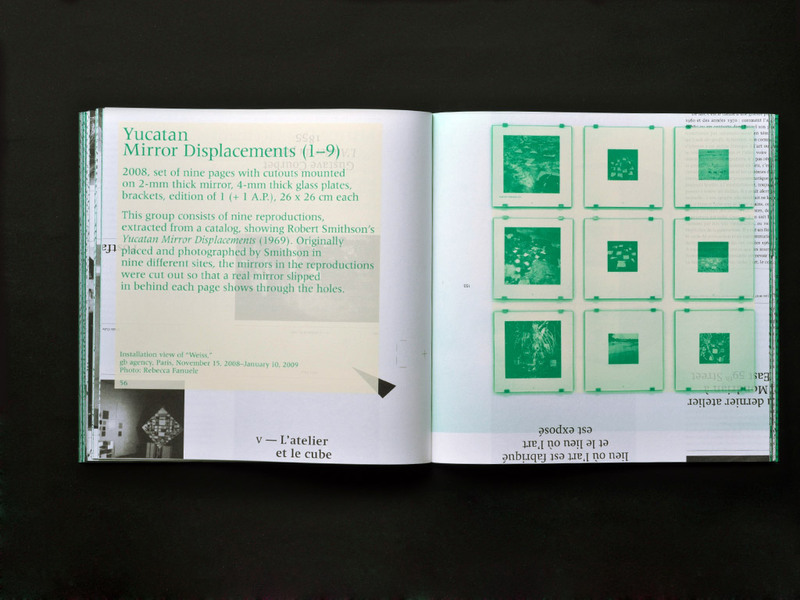 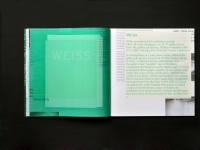 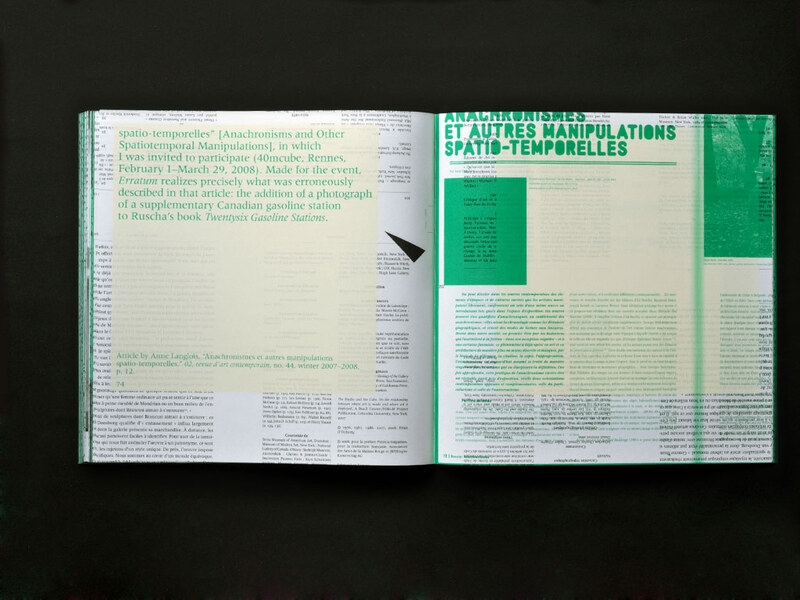 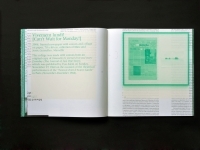 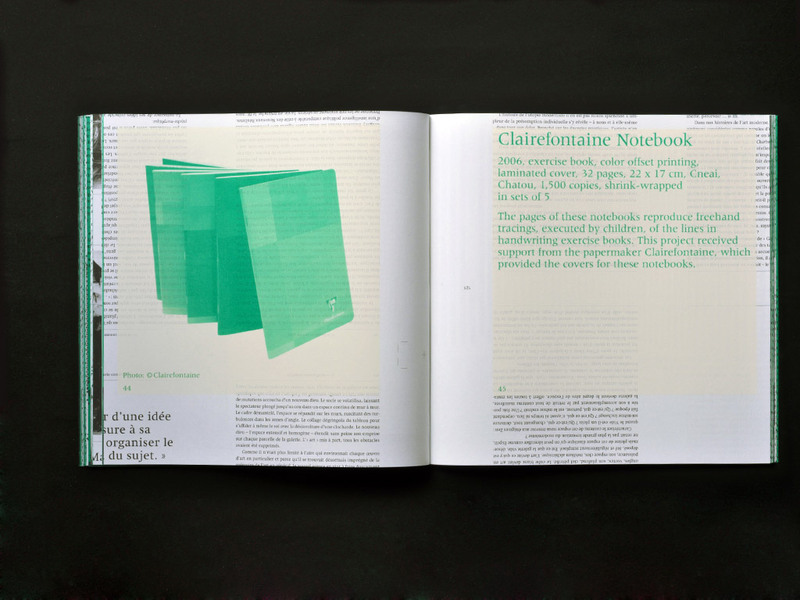 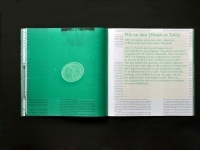 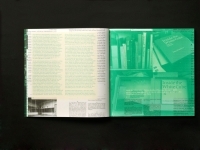 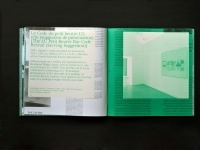 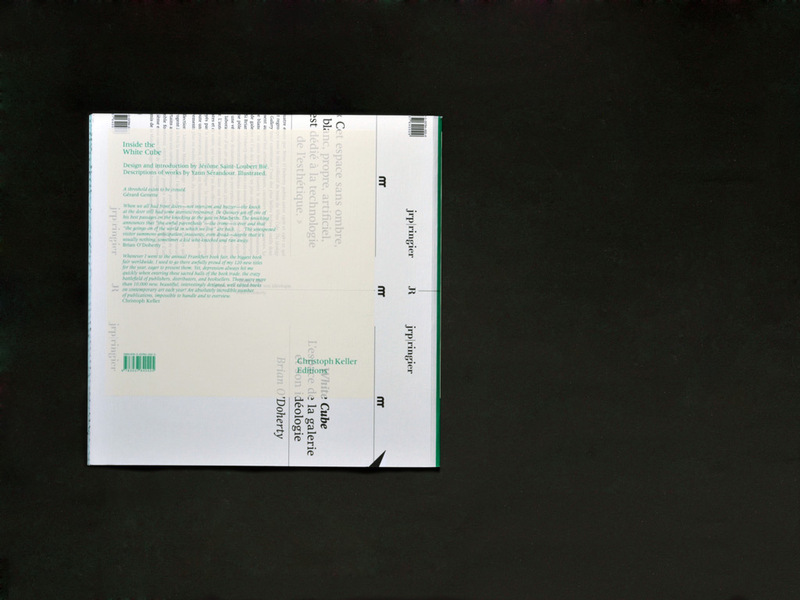 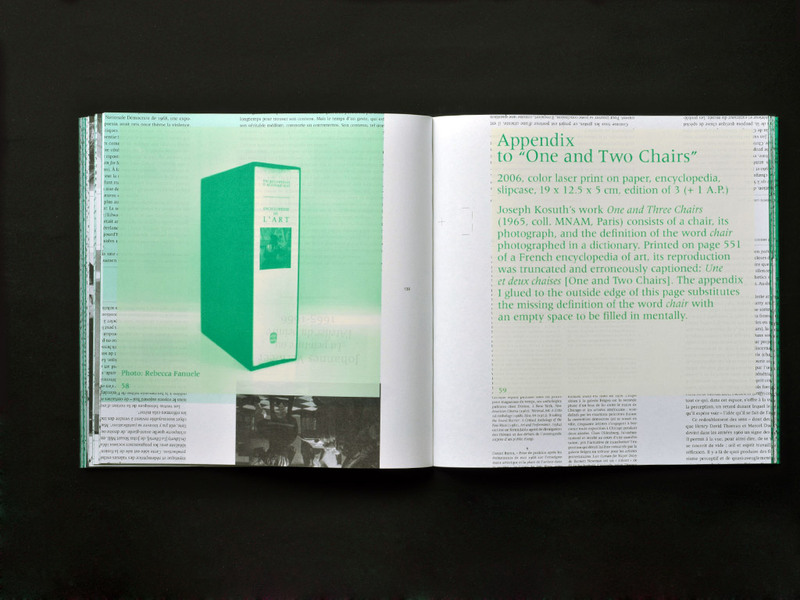 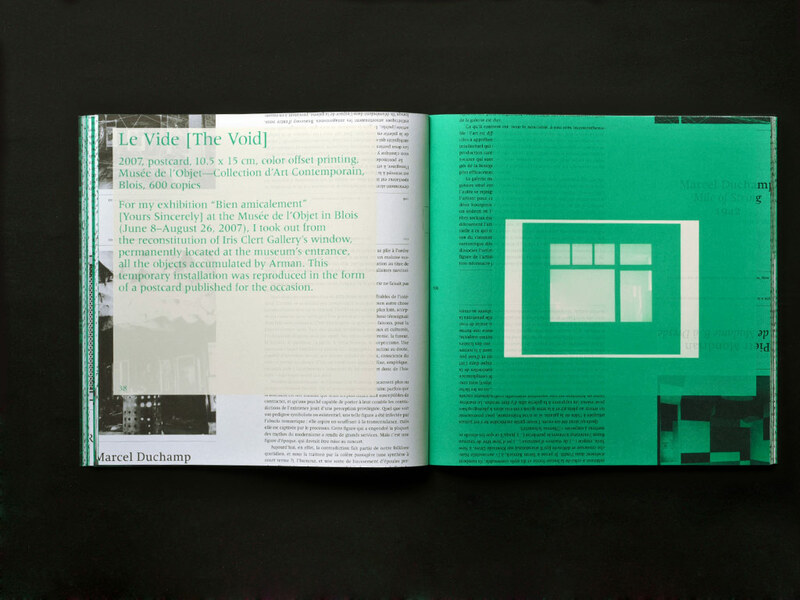 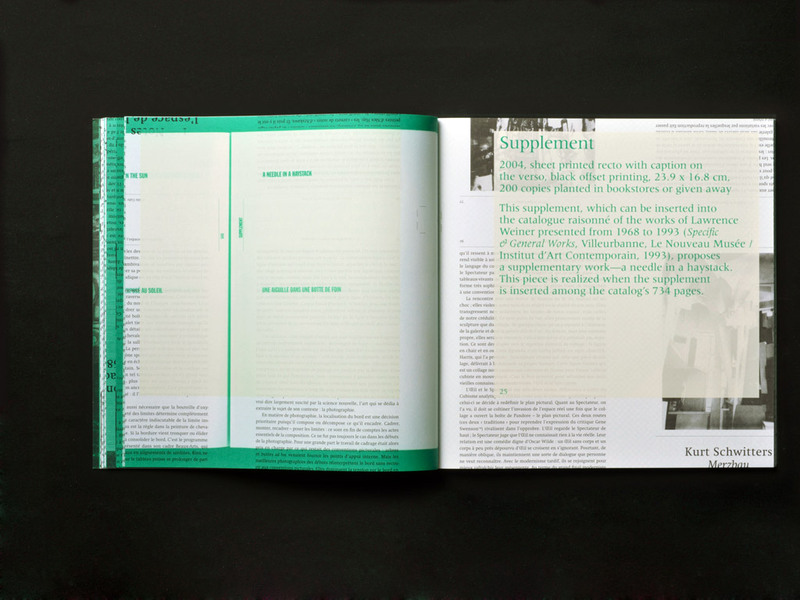 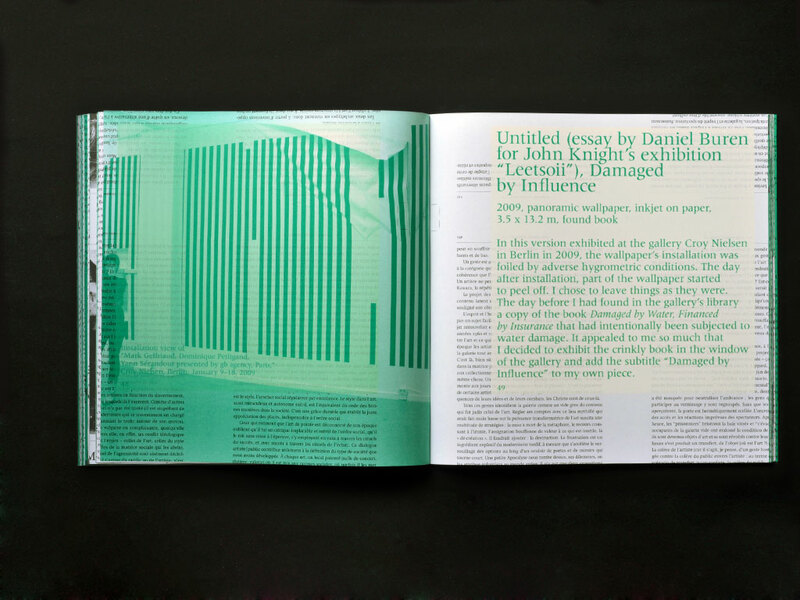 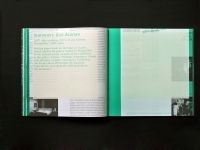 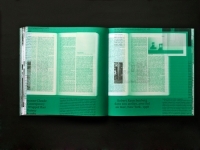 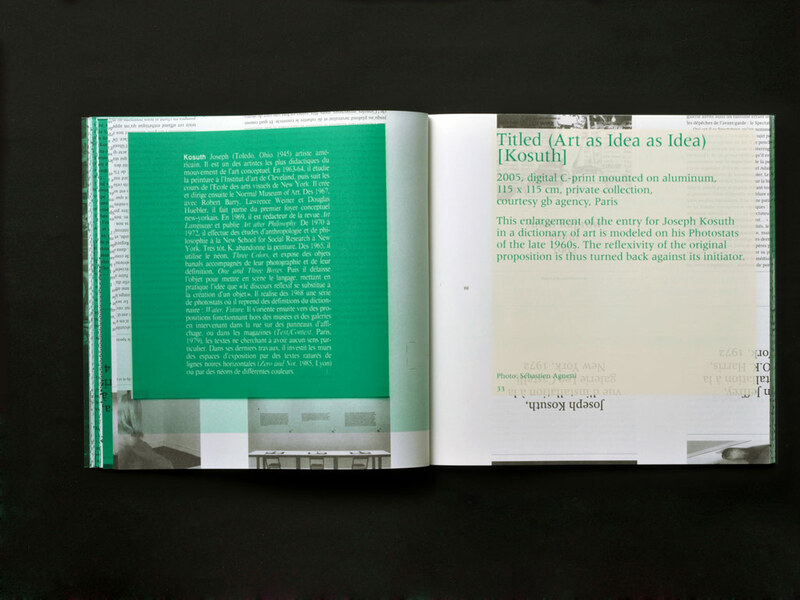 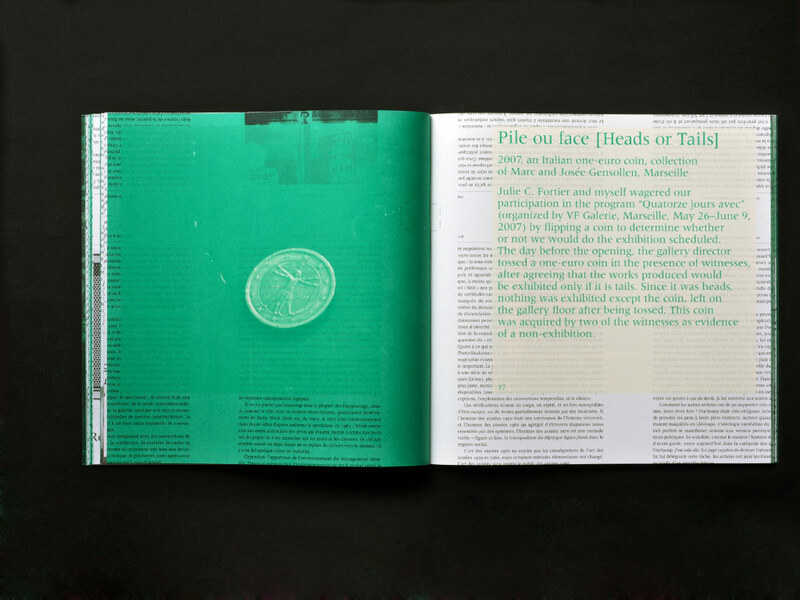 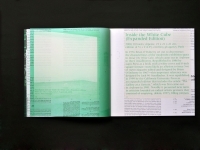 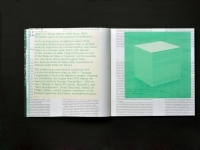 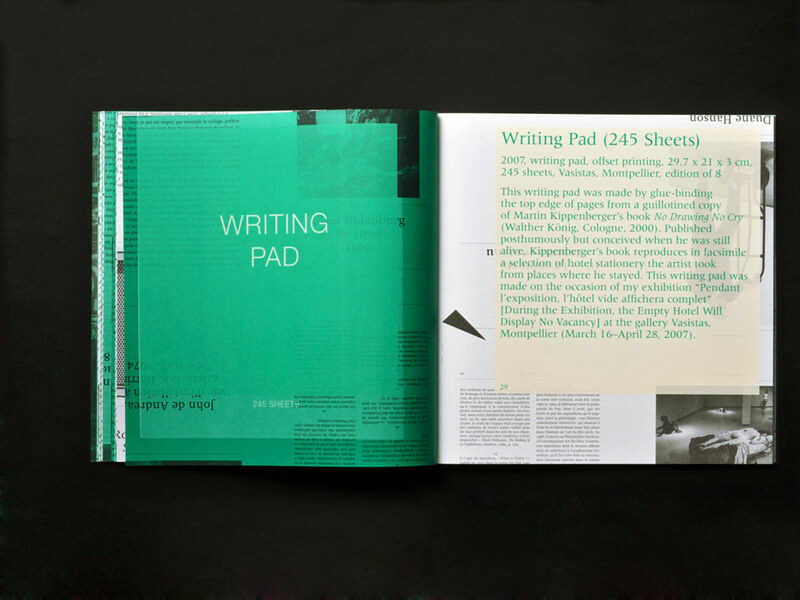 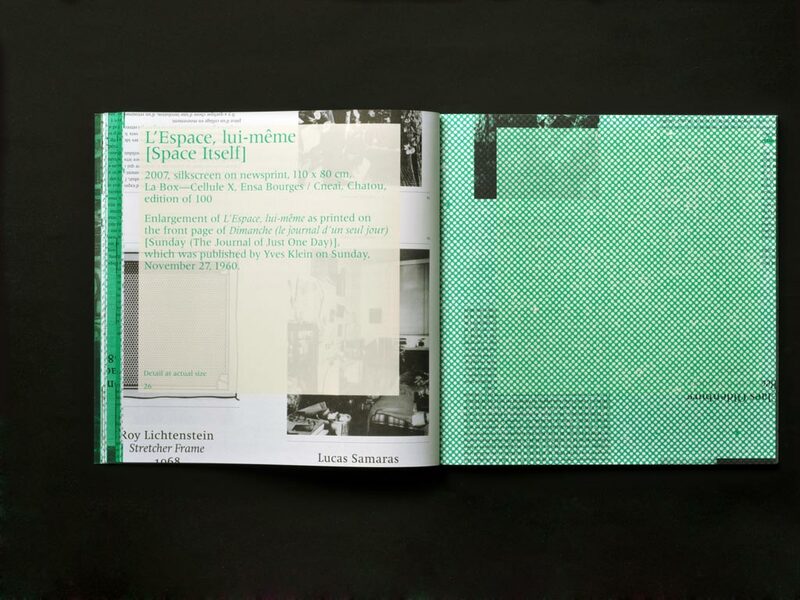 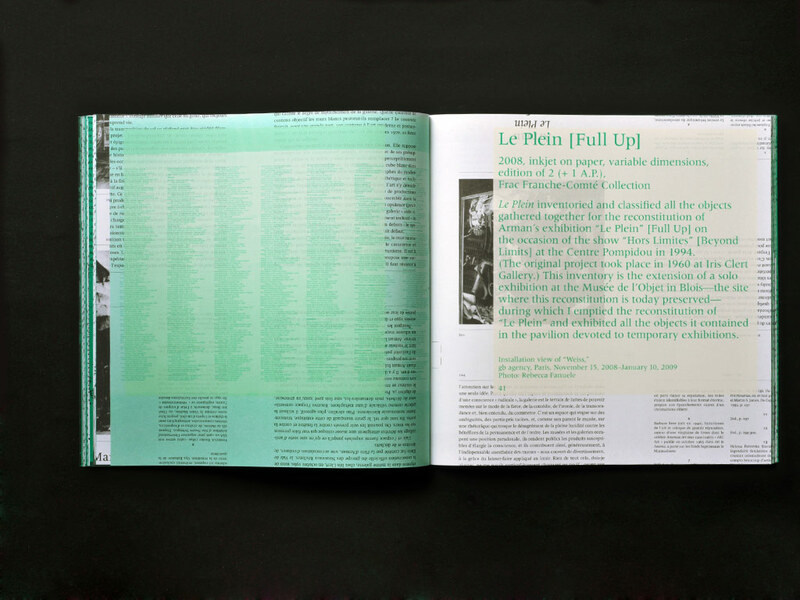 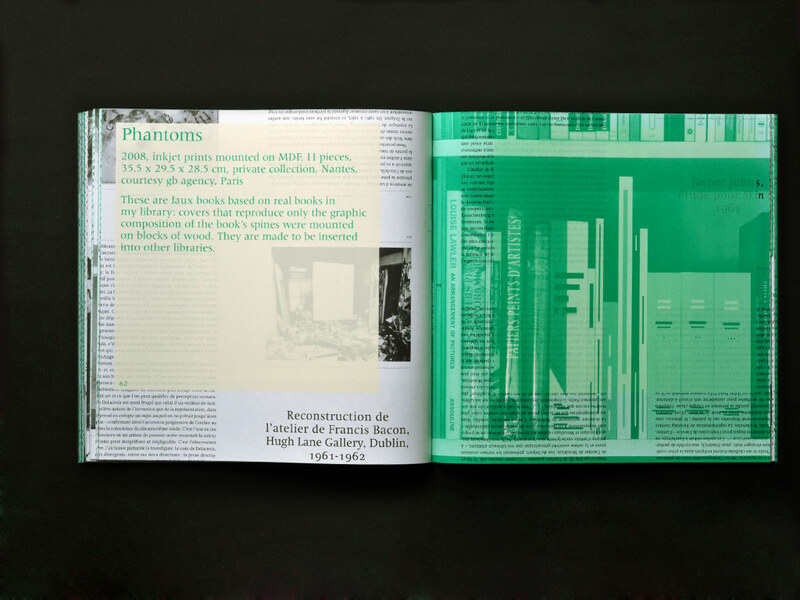 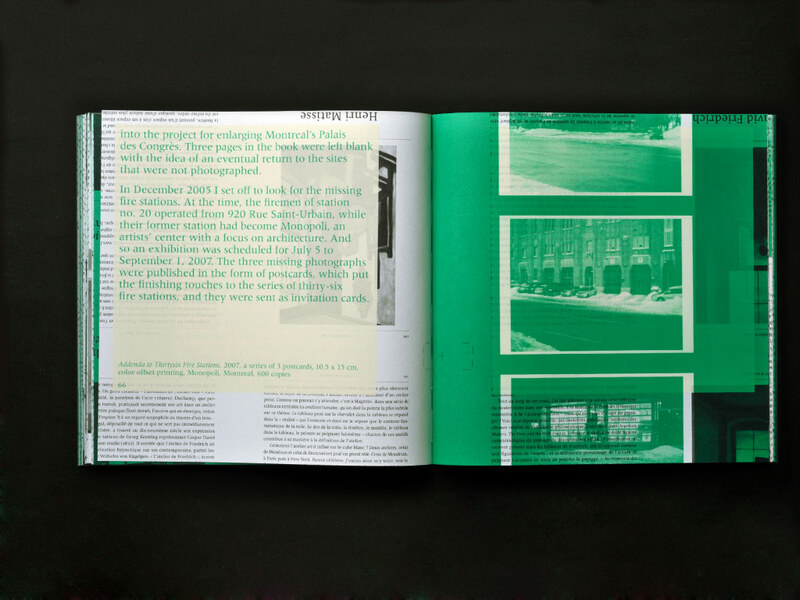 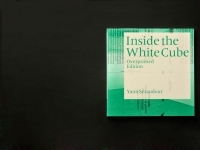 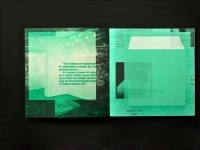 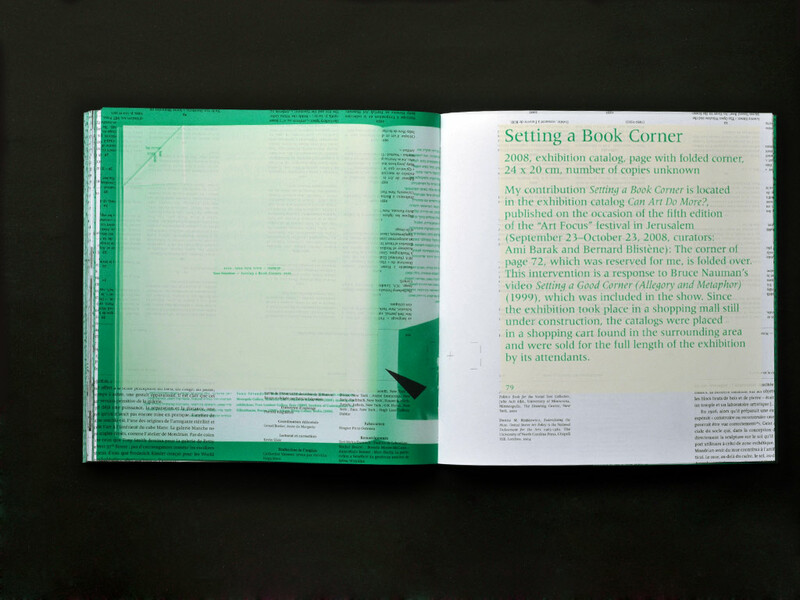 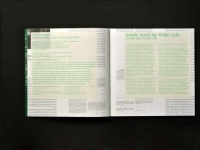 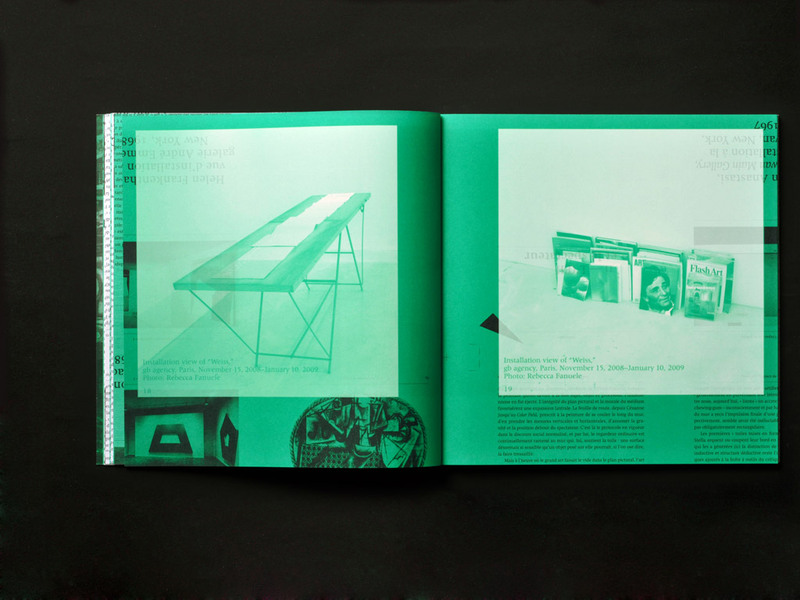 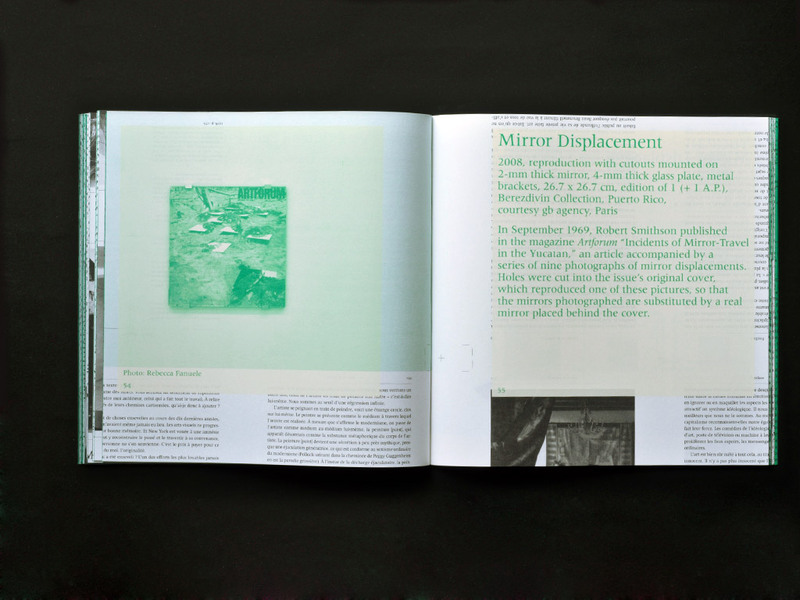 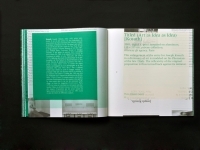 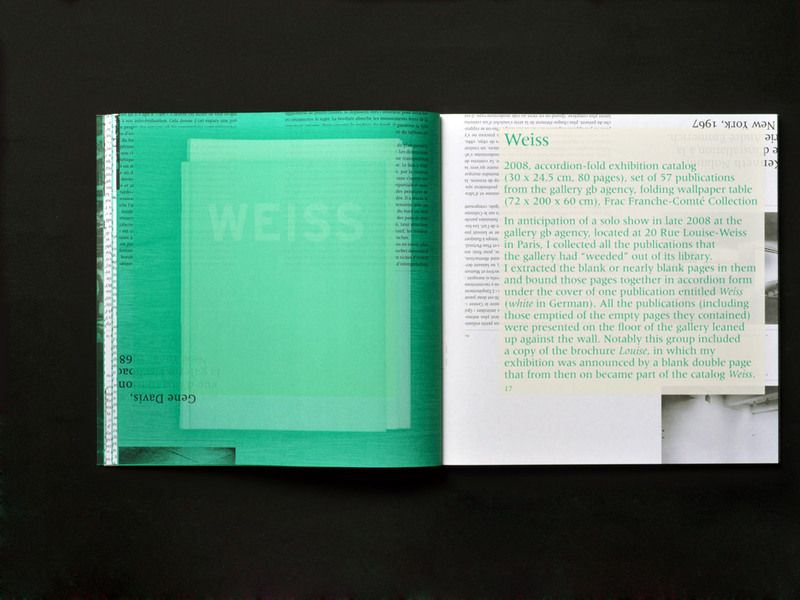 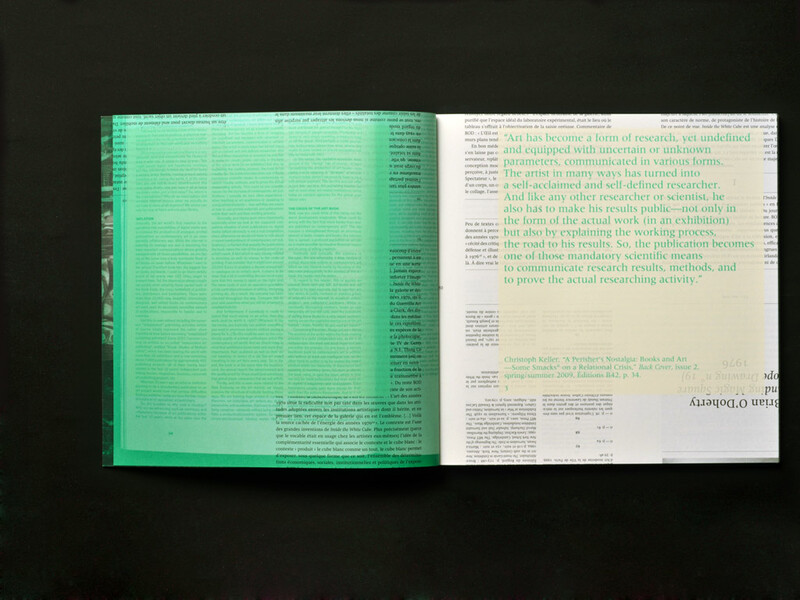 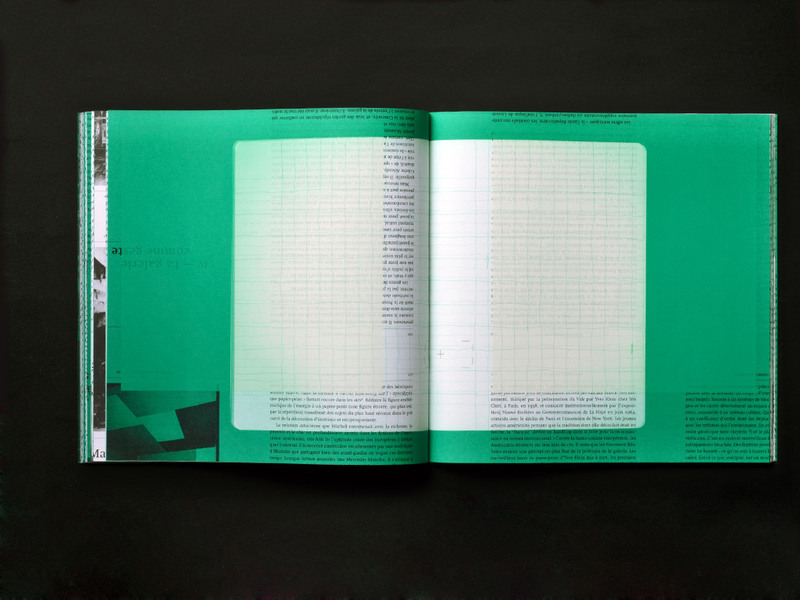 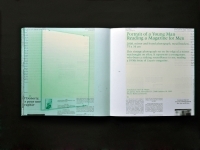 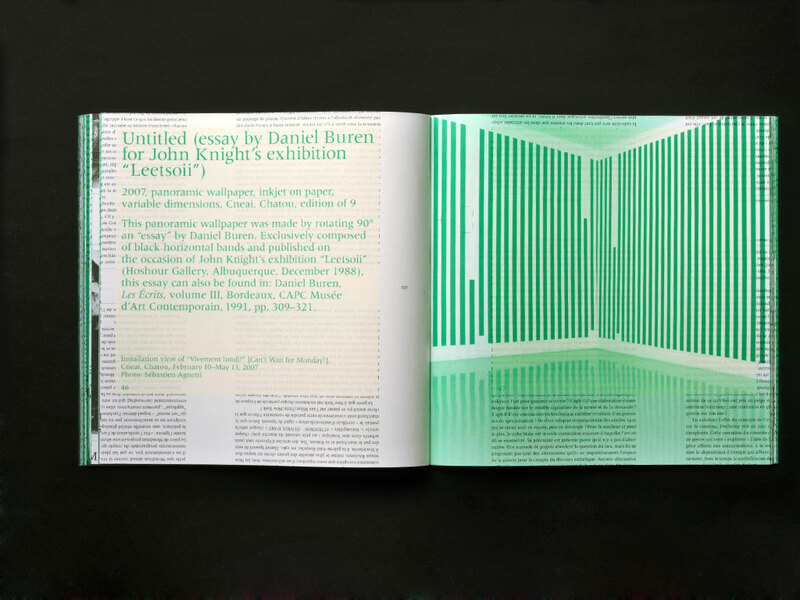 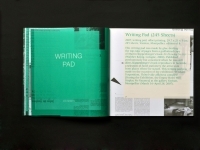 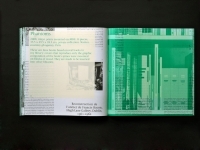 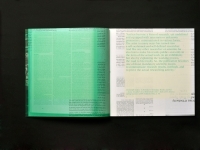 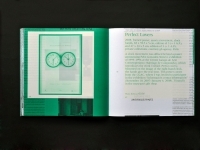 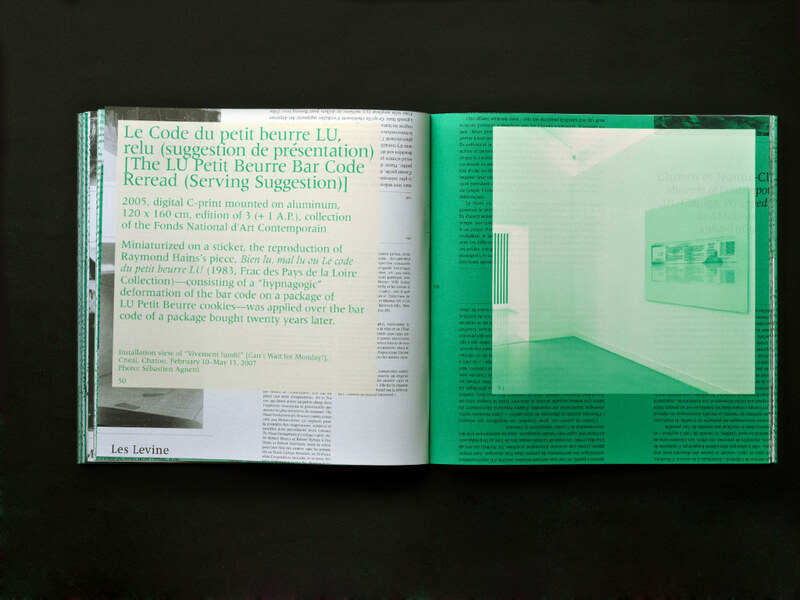 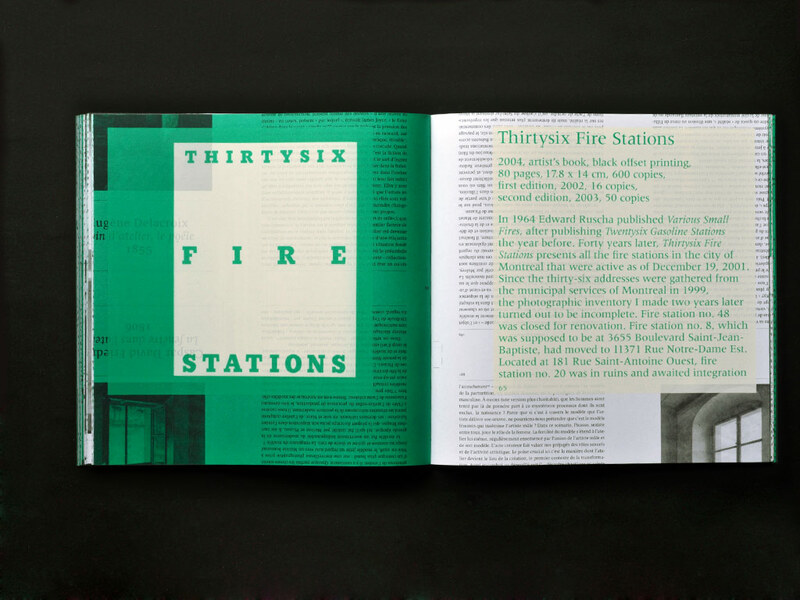 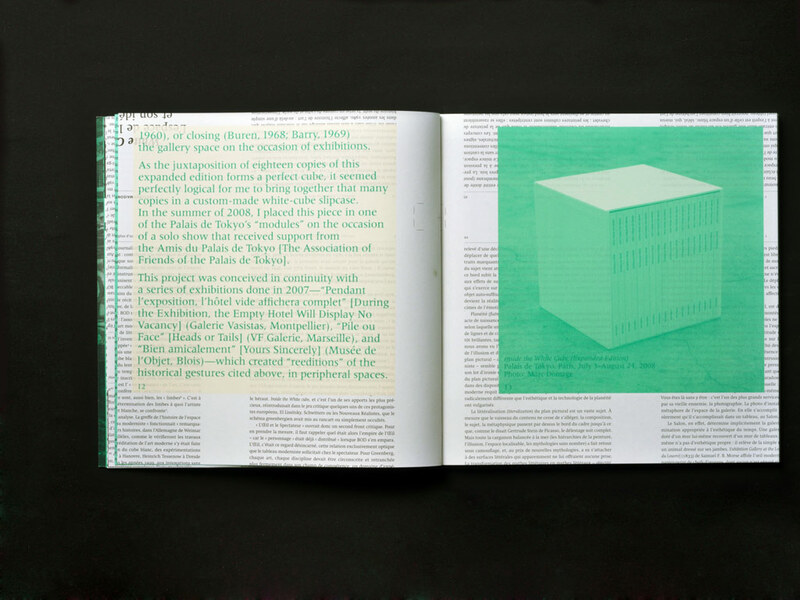 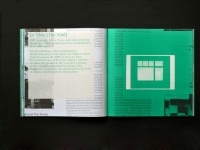 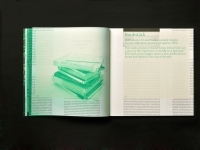 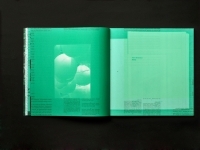 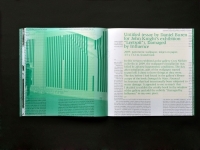 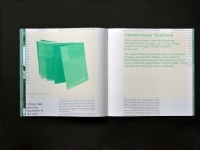 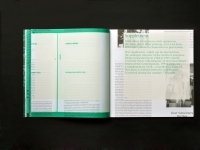 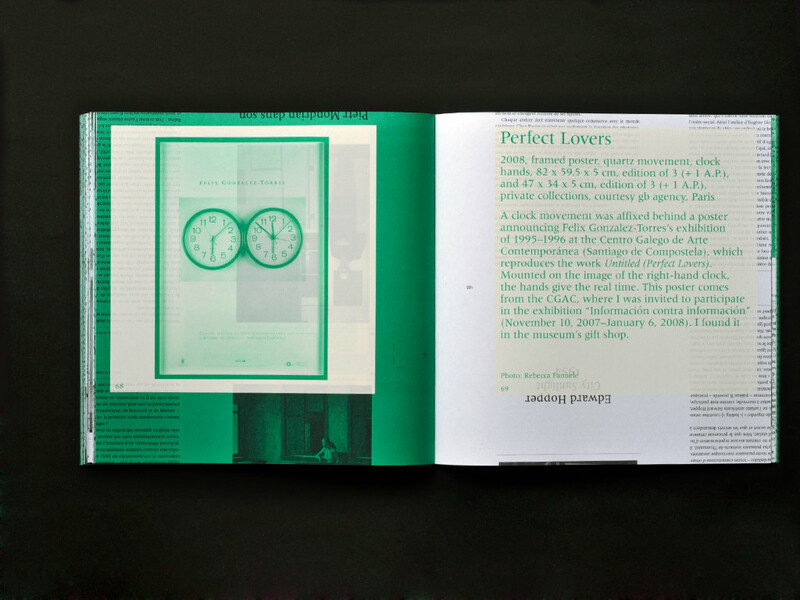 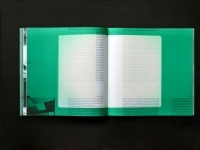 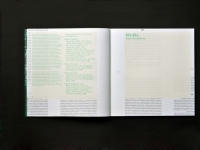 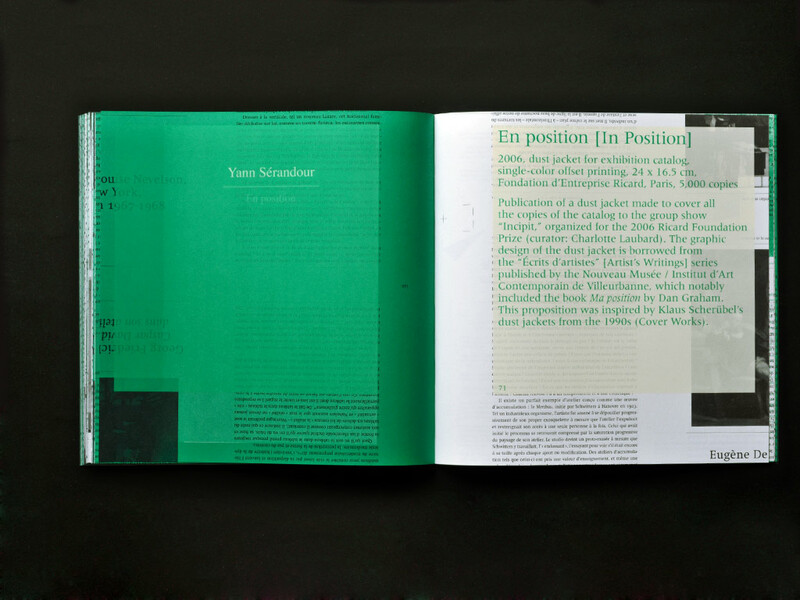 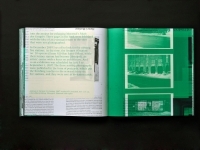 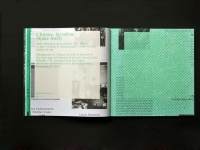 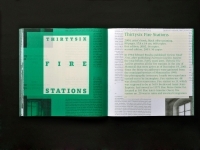 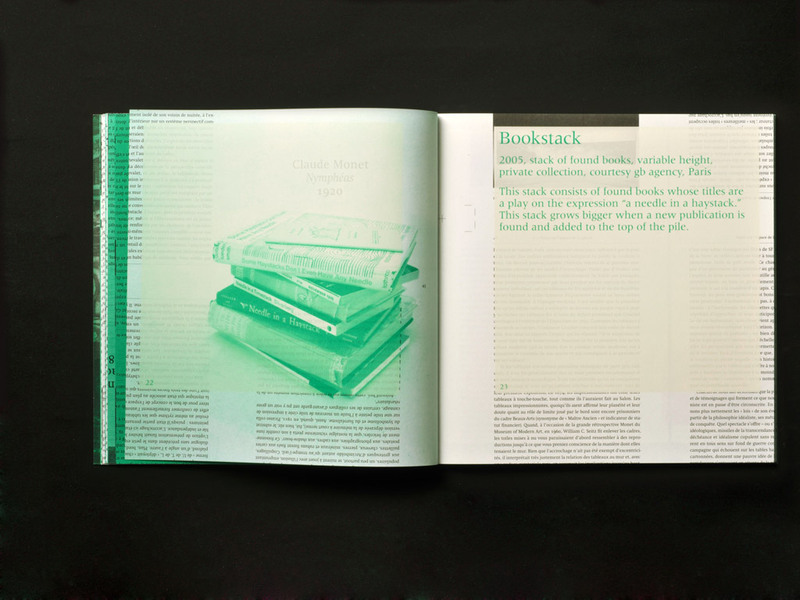 This palimpsestic book presents a selection of projects by Yann Sérandour that are derived from other books and other authors. 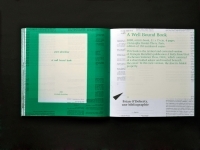 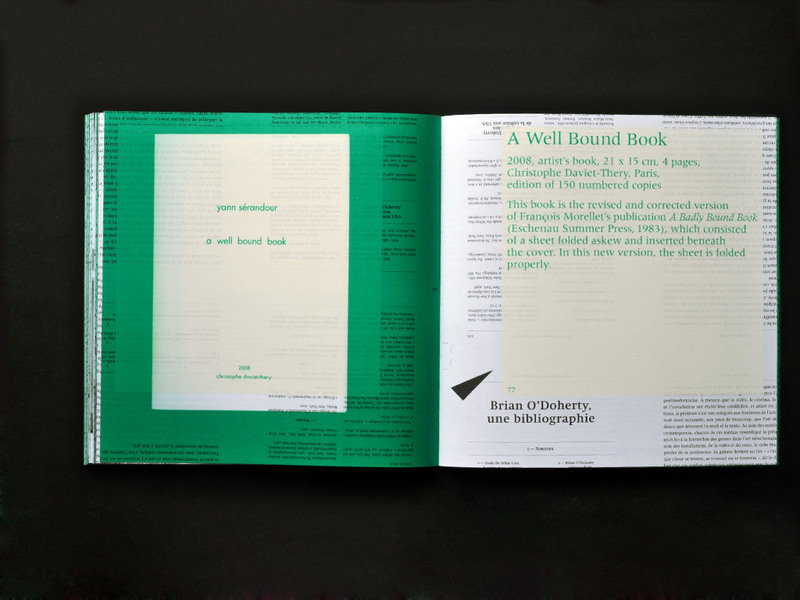 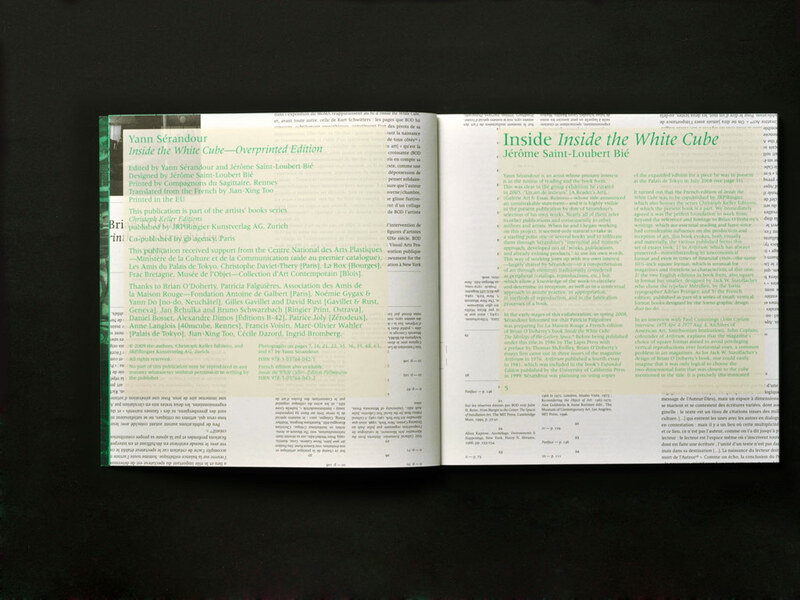 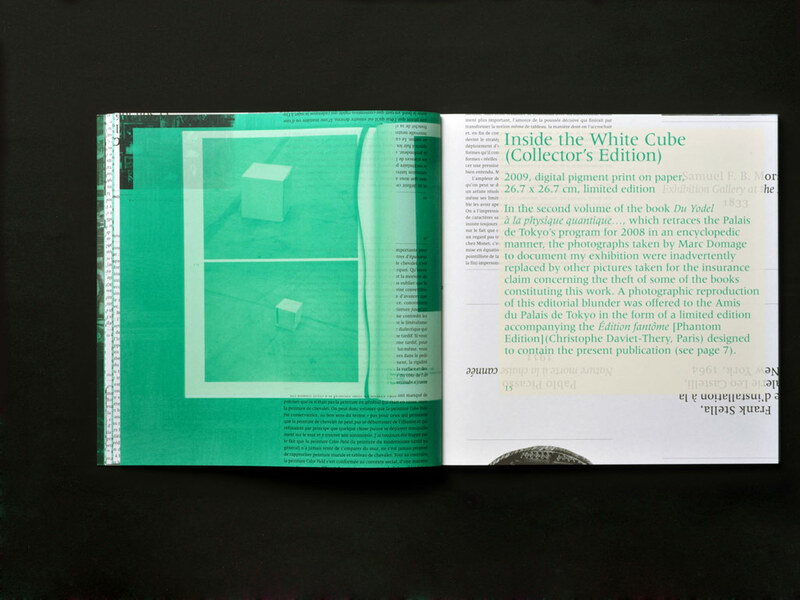 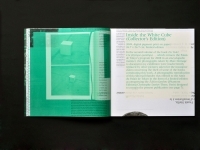 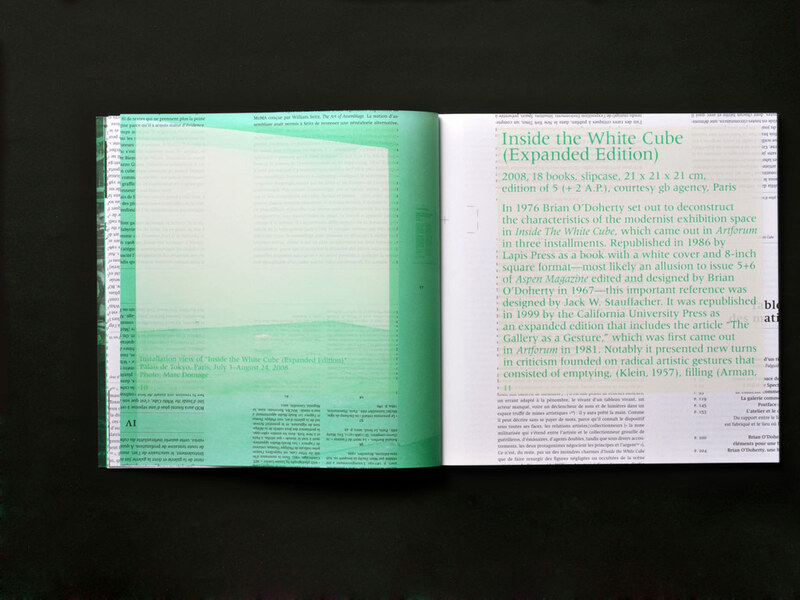 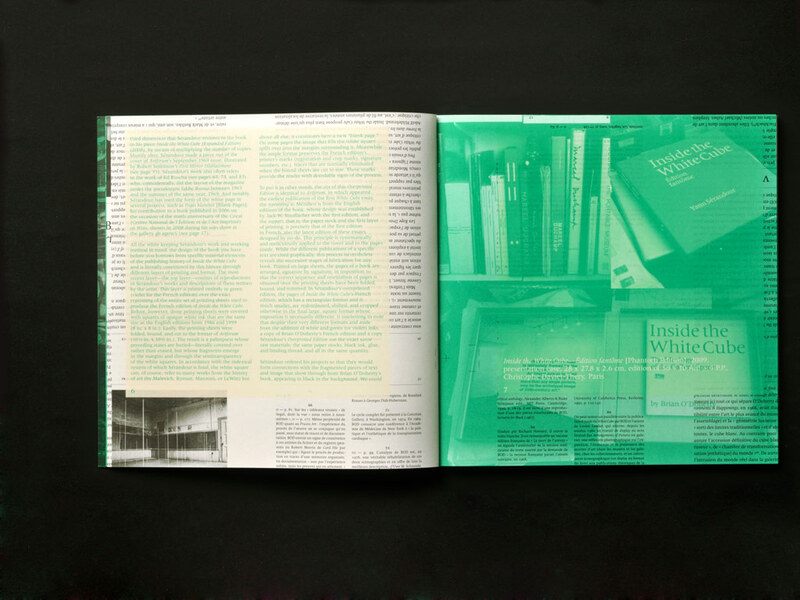 The design, using Adrian Frutiger’s Méridien typeface, explicitely quotes Jack W. Stauffacher’s design for Brian O’Doherty Inside the White Cube, while the book format is the one of the magazine Artforum in which Brian O’Doherty’s essay first appeared. 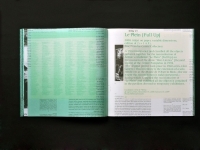 A limited edition subtitled “Édition fantôme” consists of a presentation case designed to hold the French and English editions of this book. 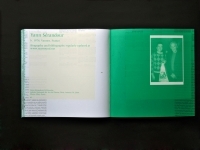 See Yann Sérandour, ITWC, Édition Fantôme.